Welcome to all ebayers in the world! 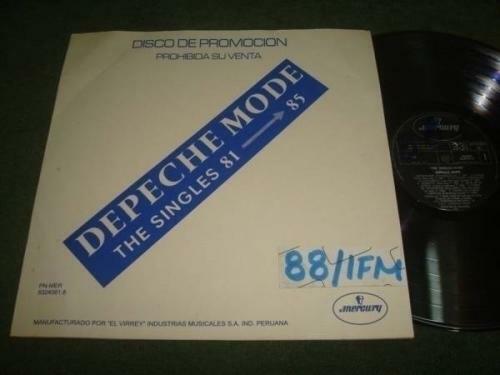 Original Issue on Peruvian Mercury Label (1988) with Promo writings on both labels that consign "88.1" which is the name of the FM Radio where we found this item. Note: Welcome serious bidders. The item is in Peru. Please only bid if you are agree with theshipping costs, base price, description, pics and other elements of this auction. .To USA with insurance: $ 25.00* (*) US$ 4.00 without insurance wich appears first is only price USA location to other USA location. In this case US$25.00 with insurance because the item is in Peru. Thanks for your understanding. Each Order is Carefully hand Packaged and Protected for Safe Transit with Attention to Detail. Your Satisfaction is Guaranteed. Other payment methods like cash or moneybookers are welcome too.